Intel (INTC) released fourth quarter and full year 2009 results a few minutes ago, handily beating on revenue and earnings. Shares are up 1.5% after hours, given the excellent performance and increased forward guidance. One number that caught my eye was inventories. As of December 09, Inventories as a % of revenue was 28%, versus 46% a year ago. 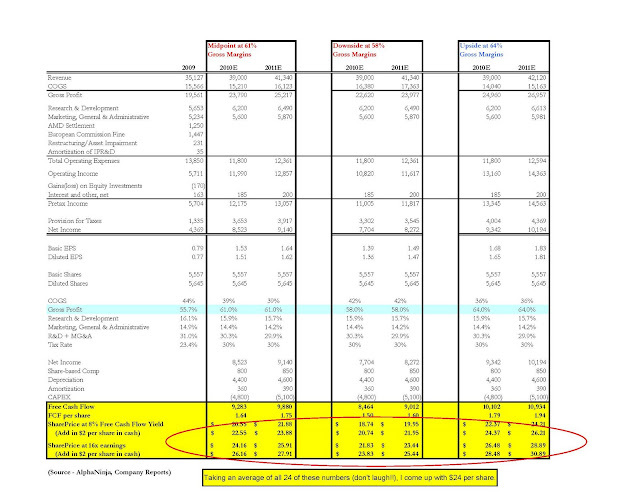 Intel is entering the new year LEAN, which looks to me like a potential for upside on margins.